The Wroclaw camp of the Super Eagles came to live Monday night with the arrival of some players ahead of the international friendly against Poland on Friday. Francis Uzoho, Elderson Echiejile, Stephen Eze, Joel Obi, Shehu Abdullahi, John Ogu, Moses Simon, Kenneth Omeruo have arrived in camp. The likes of Alex Iwobi, Troost Ekong and Leon Balogun were among the early Eagles as revealed by the official twitter account of the team. A total of 28 players are expected to be in camp for the two international friendly matches against Poland on 23rd and Serbia on 27th. 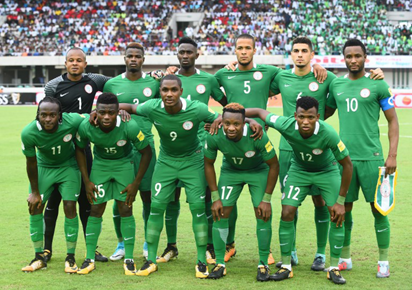 It is most likely that team manager, Gernot Rohr will pick his 23-man for the world cup from the invited 28.